This piece first appeared in the December 2007 issue of TGO magazine. I was reminded of it while rereading Hamish’s Mountain Walk (see last post). I think I should have included Hamish Brown in the article. Abbey’s “eyes to see” can be found in the words of writers on wilderness and landscape, including Abbey himself. These “visionaries of the wild” are walkers, climbers, thinkers and philosophers who set out to inspire and educate with their love of the wild, and who, to a great extent, have built our view of the nature and value of landscape and wild places. I’ve been inspired by these writers for many years and re-read their works regularly, often lying in a tent or under the stars far from the noise of roads or the bright lights of the city. The first major figure is this movement for wilderness is Henry David Thoreau in the mid-nineteenth century, living and writing beside Walden Pond in Massachusetts and exploring the forests and rivers of the North-Eastern States. Thoreau put forward the idea that “it would be well perhaps if we were to spend more of our days and nights without any obstruction between us and the celestial bodies” and, most famously, “in Wildness is the preservation of the world”. Thoreau saw human beings as part of nature not apart from it and wilderness as having great value to humans, the beginning of a revolution in thinking about wild places. Although most noted for his contemplative sojourn at Walden Pond Thoreau also saw the value of walking. Indeed, in his essay entitled Walking, he wrote “I think that I cannot preserve my health and spirits, unless I spend four hours a day at least--and it is commonly more than that--sauntering through the woods and over the hills and fields, absolutely free from all worldly engagements”. Six years after Thoreau died in 1862 John Muir, an immigrant from Scotland, arrived in the Sierra Nevada mountains in California, a seminal event in the history of landscape and wilderness preservation. Whilst Thoreau had bemoaned the destruction of nature he did little to prevent it. Muir however used the power of words to describe, praise and defend the great landscapes of the Western USA, especially the Sierra Nevada. Muir was a long distance walker who walked a thousand miles from Indianapolis to the Gulf of Mexico by the “wildest, leafiest, and least trodden way”, a mountaineer who made many first ascents in the Sierra Nevada, a scientist who showed that glaciers had carved the landscape of the Sierra Nevada and a campaigner who founded the Sierra Club, a major US conservation organisation, and wrote articles that led to the creation of Yosemite National Park. Muir wrote a vast number of books and articles (not all of them worth reading!) from which many quotations are regularly pulled, perhaps most often, “do something for wildness and make the mountains glad". Muir revelled in every aspect of wilderness, climbing trees in storms to experience them swaying from side to side, edging out to the brink of waterfalls to feel the shaking of the ground and the roar of the water and sleeping out on snowy mountain sides with just a coat to cover him. One of my favourite quotes, which I try to remember as more rain sweeps across the Highlands, is “when I heard the storm and looked out I made haste to join it; for many of Nature’s finest lessons are to be found in her storms, and if careful to keep in right relations with them, we may go safely abroad with them, rejoicing in the grandeur and beauty of their works and ways”. After Muir a succession of American writers wrote in praise of wilderness, the most significant of which in the first half of the twentieth century was Aldo Leopold, an ecologist and forester and founder of The Wilderness Society. Leopold developed the ideas of an “ecological conscience” and a “land ethic”, now major parts of current environmental thinking, writing that “conservation is a state of harmony between men and land” and “we abuse land because we regard it as a commodity belonging to us. When we see land as a community to which we belong, we may begin to use it with love and respect”. Leopold saw wild land as being necessary for human beings saying “wilderness areas are first of all a series of sanctuaries for the primitive arts of wilderness travel, especially canoeing and packing” in his classic book A Sand County Almanac. 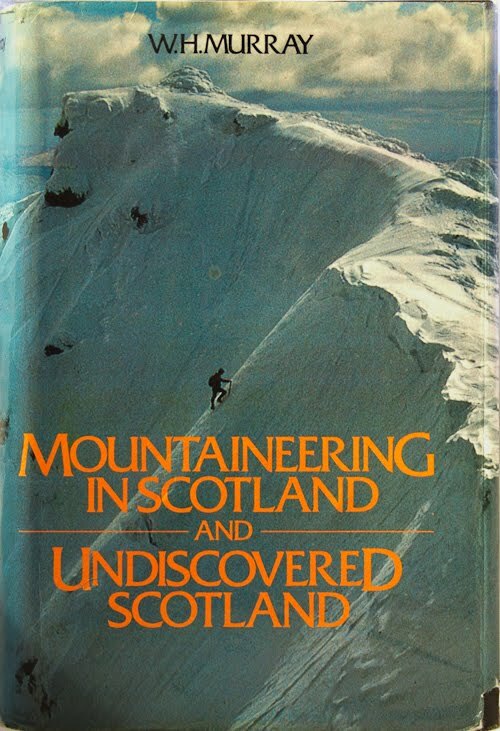 At the same time as Leopold was writing A Sand County Almanac a Scottish climber by the name of W.H.Murray was writing an equally important book called Mountaineering in Scotland, a book written twice in prison of war camps, the first version being destroyed by guards. Through the 1930s Murray had made many first ascents on rock and ice in the Scottish Highlands and was one of the premier mountaineers of the time. However his climbing came out of a joy in wildness and his book is packed with wonderful descriptions of the mountains and the effect they had on him. After a night-time winter ascent of Buachaille Etive Mor he wrote “We had set out in search of adventure; and we had found beauty. Thus we had found both in their fuller sense; for in the architecture of hill and sky, as in great art and music, there is an everlasting harmony with which our own being had this night been made one. What more may we fairly ask of mountains?” Realising that his beloved Highlands were threatened by development Murray became an active conservation campaigner, his greatest victory, for which we should be very thankful, being the prevention of a hydro-electric scheme in Glen Nevis. Of industrial developments in the Highlands he wrote in Scotland’s Mountains that “they could invariably be sited elsewhere than the regions of outstanding landscape quality; sometimes at a greater cost in money, which civilized man should be prepared to pay” and lamented that “to find a wholly wild scene, unmarked by man’s building, one has to go ever farther into the hills”. That was written over twenty years ago. It is even truer today. Much of Murray’s prose is evocative, romantic and emotional. In this he is more in accord with American wilderness writers such as John Muir or Edward Abbey than most British outdoor writers. 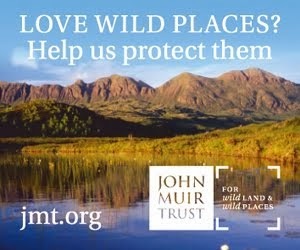 And here I think lies one reason for the lack of passion about wild land, the lack of a tradition of landscape writing. British writers tend to be more detached, more cool about their subjects, more reticent about their feelings, which results in work that may be descriptive and informative but which isn’t inspiring or visionary, which lacks intensity. 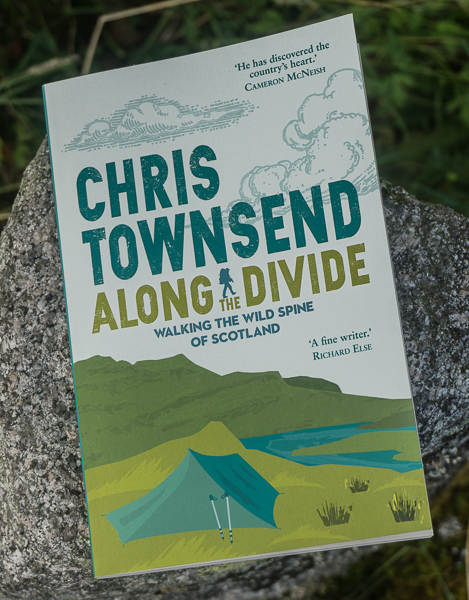 British writers can be divided, crudely, into two camps: nature writers and adventure writers. The former give intricate accounts of plants and wildlife, the latter factual descriptions of climbs and long walks. Neither usually presents a vision of wildness. Some nature writers, like Gavin Maxwell, approach this but none succeed like Murray or the Americans. Adventure writers still tend towards the cliché of the stiff-upper lip, eschewing feelings towards beauty or the wonder of wild places. The same year that Fletcher’s account of his walk through the Grand Canyon, The Man Who Walked Through Time, was published another book appeared that was to have repercussions for decades to come and introduce the world to the iconoclastic, controversial and distinctive voice of Edward Abbey. For the next 21 years until his death in 1989 Abbey was to be a provocative and challenging writer on wilderness and many other topics. Abbey’s love was for the deserts of the South-West USA where he walked, camped and paddled down rivers. His view of wilderness was that it was essential for human sanity and that preserving it came before anything else, writing “I come more and more to the conclusion that wilderness, in America or anywhere else, is the only thing left that is worth saving” and “Wilderness is not a luxury but a necessity of the human spirit.” Fond of disappearing into the desert for days or weeks Abbey noted that “a journey into the wilderness is the freest, cheapest, most nonprivileged of pleasures. Anyone with two legs and the price of a pair of army surplus combat boots may enter”. as birds fly around empty shops. Somehow I find these sentiments comforting and optimistic. Edward Abbey would agree. Visionary writers on the wild are important, especially when we are far from wild places, both physically and spiritually. Read these authors, relish their words, turn over their ideas in your mind, let their visions inspire you. But above all go out into the wild and let it envelop you as it did them. This is a great article as it gives a great feeling for many of the authors you mention. Particularly valuable I would think to those unfamiliar with these works. The above appears on the frontice piece of all “BB”’s books (Denys Watkins-Pitchford. I am glad you mentioned Leopold’s Sand County Almanac as this slim volume is a gem. The same is true in other genres – Since I was a boy I have been a keen fly fisherman and of the hundreds of books I own on flyfishing the majority are American. American writers on flyfishing (when one gets away from the “how to”) write more eloquently about the joy of fishing in truly wild places. And having the privilege of fishing in Montana, Idaho, Colorado and Wyoming many times I know their writings better reflect the delight of fishing these wild places and they do it so much better than British writers writing about fishing in our own wild places. I believe it also true of other genres, my reading is rather eclectic and my books have a far greater number American titles on the bookshelves…I think they write better than the British! Hopefully your readers, if they follow your suggestions, will like Abbey and buy more of his books. At 63 he died too young. As we discussed by the igloo on Carn Ban Mor, hopefully one day someone will write a biography on Colin Fletcher – now there is a job for you!! When it is noon in the purple canyon and the sun soars slowly over the forest and hills as a golden hawk, the rounded boulders of the creek shimmer and dance in the warmth of the sun, and on the countanance of the cliff, where every crevice has its flower in blossom, the warmth of the ancient sun is pooled for a lizard drowsing. There is a silence of sunshine then in the canyon, and silver and silent the trout are drowsing under the emerald and spume. How far away and yet how near and clement, is the blue curvature of heaven. Thanks for that Rob. I'd forgotten all about "BB", whose books I read as a boy. My copies are long gone. A lovely article Chris. W.H. Murray also wrote when speaking of Hydro-Shcemes "...the uneconomic cost of distribution has been met by exporting surplus power to the Lowlands. A heavy additional cost has been impairment of the natural scene, exacerbated by government refusal to spend money on undergrounding cables even in the most sensitive areas." Scotland's Mountains' 1987. Nothing changes does it? Do you see Jim (Perrin) as belonging to a different category of outdoor writer? I'm just in the process of re-reading Robert Macfarlane's 'Mountains of the mind', having found it pretty hard work the first time. It's proving a bit easier second time around, although I'd still put 'The wild places' ahead of it, or at least closer to the style of outdoor writing which appeals to me. I'd also have Barry Lopez on my list, partly for his original and unique style of sentence construction. Chris, Thanks for your words. I am fully enamored with the Sierras, the S/W desert and the folks who speak of them. I have read your account of hiking the Arizona Trail and you are equally evocative to the sentiments expressed in this missive. I only wish more people could experience the wilderness in the way you do and as others have done in the recent past. It can make such a difference in the world. 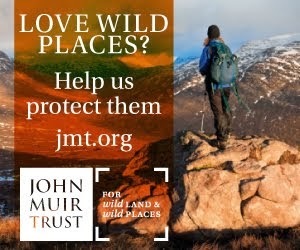 Hawthorns, Jim Perrin has written some good stuff on wild places but in articles rather than books. I also think his strongest writing is about people rather than places. 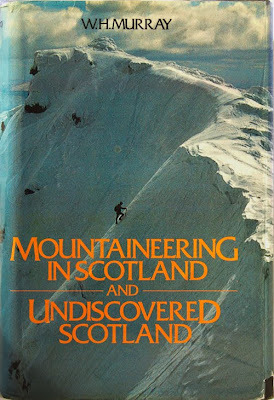 His biographies of Menlove and Whillans are excellent and some of his writing about rock climbing is superb too.